Stacy on the 长椅, 沙发. . HD Wallpaper and background images in the stacy from phineas & ferb club tagged: photo. 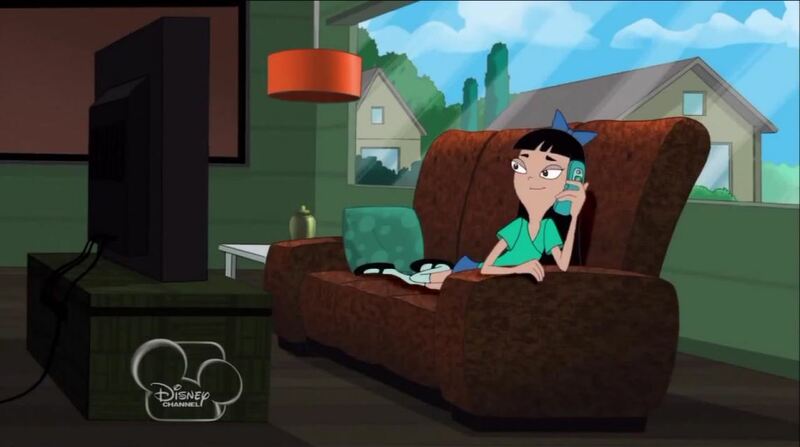 This stacy from phineas & ferb photo contains 客厅, 起居室, 前室, 前厅, 客厅里, 前面的房间, 客厅客厅, and 家庭房. There might also be 客厅, 客厅客厅, 巢穴, den, 书房, 客厅, and 客厅里.